The Jewish community in Bialystok, which achieved so much on all fronts, goes back some 500 years. Its story is fascinating and unique. Until World War II, Jewish Bia­lystok was renowned in Russia, Poland and other coun­tries as a center of commerce and industry. It was also celebrated for its Torah learning and charity, a broad network of cultural and community activities, labor, art and industry. To understand Bialystok is to appreciate the enter­prising spirit of its Jews, as well as their boundless capacity for compassion — helping the helpless, com­forting the downtrodden, sustaining the impoverished. Above all, Jewish life and thought in Bialystok were diversified; many different points of view were held concerning all the important issues of the day. Bialy­stok was a place for people to grow and thrive, to face challenges and overcome adversity. This community accommodated multiple economic classes, social strata, political parties and theological positions. Living in freedom was the major goal of Jews in Bialystok from all walks of life. No one held a monop­oly on truth, ideas or values. The environment bubbled like a cauldron into which ingredients of all kinds were thrown. There was a sense of community among Bialy­stok’s Jewish inhabitants. They all felt they belonged to one another. If the ugly head of alienation appeared from time to time, it did not endure for long. For there existed an intricate network of aid institutions, whether organized or informal, reaching out to those on the fringes of society. As we will soon see, the very emergence of Bialy­stok from a barren, uncultivated swampland in the forests of Eastern Poland into a flourishing, sprawling center of human life was a tribute to the creativity, industriousness and hard work of its Jews. Let us go back in time and briefly review some milestones in its evolution. Around the 10th century CE, the Bialystok region was populated by a barbaric Baltic-Latvian tribe. Sub­sequently, its members were expelled from the area by Russian-Lithuanian conquerors. In 1320, Bialystok was founded as a village by the Lithuanian Count Gedimin. After being passed on from one generation of this Lithuanian family to the next, the village became the private fiefdom of King Zygmunt August, a Polish ruler, in 1542. At the end of the 16th century, the Arians, a hereti­cal Christian cult that did not accept several major Catholic dogmas, occupied Lithuania and Poland. They invaded a temple in Bialystok built many years before-hand and “defiled” it. These apostates were driven out, and in 1668 Bialystok went on to become an entrenched Polish territory. In 1795, following the partition of Poland, Prussia annexed Bialystok. Napoleonic armies on their way to Russia took over control of Bialystok and ruled for one year. Then in 1808, the city fell into Russian hands. Napoleon reconquered Lithuania and Poland in 1812, and three years later, after the Tilsit Peace Conference, Russia once again imposed its jurisdiction over the city, ruling for more than a century — until the first World War. Poland took over in 1919 until the outbreak of World War II in 1939, when for two years the Russians controlled Bialystok. The Nazis captured the city in 1941 and destroyed it in 1943. The above reflects a history of political and social instability in Bialystok for almost 1,000 years. This town was a veritable football, kicked back and forth, first between groups and then nations vying with one another for dominance in the area. Under these condi­tions of flux and uncertainty, it is all the more amazing that Bialystoker Jews found it possible to grow, to build, to establish security and continuity through the many institutions they established. Documents in Tyktin, the original capital city of the region, show that Jews already lived in Bialystok around 1658. In 1703, Polish Count Jan Klements Bronicki built for himself a wooden palace in Bialystok. The old Bet Hamidrash was constructed in 1718 within what was to be known as the synagogue court. In 1742, Bronicki elevated the village of Bialystok to the status of a city. Jews were granted equal rights in 1745. In that same year, Bronicki erected a tower that served as a detention center for criminals. At the base of this tower eighty shops were constructed, which Bronicki allocated for Jewish businessmen. 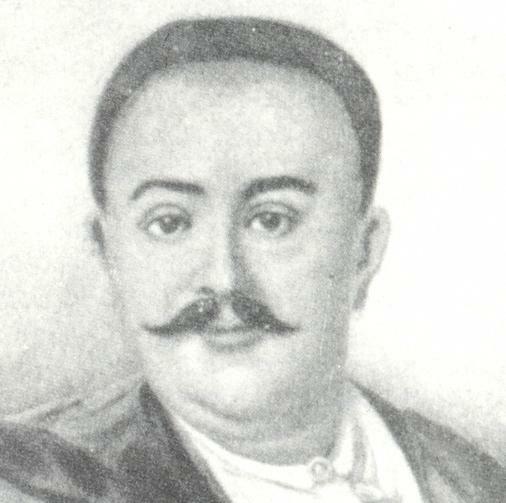 Izchok Zabludowski (known as the "wealthy Reb Izchok") Bialystok at the beginning of the 19th century and in the lumber business with the Russian government. In his day, he was Russia's richest Jew and real deal of money and real estate to charity. His descendants were among the wealthiest and most influen­tial families in Bialystok. He died in 1865. Bialystok, located near the Bialy River (Bialystok means “White River” in Polish), became a haven for Jews. Bronicki invited them to settle there and build up the town; he provided them with land, lumber and other materials. In 1749 a small number of Jews settled in Bialystok, totaling 765 by 1765. In the next fifty years the Jewish community grew in both numbers and influence. In 1800 the “new Bet Hamidrash” was estab­lished in the synagogue court. Bialystok replaced Tyk­tin as the dominant city, surrounded by smaller satellite communities such as Choroscz, Horodok, Janowa, Jaszynowka, Knyszin, Odelsk, Sokola, Zabludowa, and Waszlykowa. 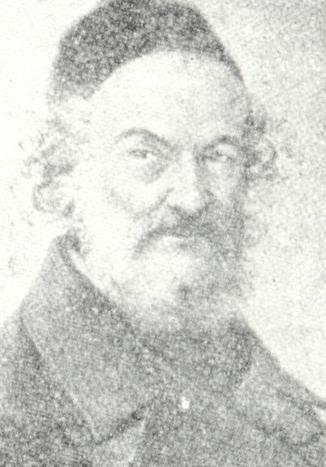 Rabbi Aron Halewi Horowic opened the first print shop in Bialystok in 1804. In 1807, about 6,000 inhabi­tants lived in the city, 4,000 of them Jews. Bialystok was declared the capital of the region in 1808. By 1897, 42,000 inhabited Bialystok, the Jews constituting 64% of the population. Thus, from the Jewish community’s inception until its brutal liquidation by the Nazis, the Jews played a major role in the life of Bialystok. But there were fre­quent ups and downs. At times they enjoyed prosperity, as well as periods of relative well-being and security. At other times, repeated political and economic crises plagued them, forcing some Jews to flee Bialystok for other countries. This trend reached its peak in the 1880’s and 1890’s, when Bialystoker Jews arrived in the United States, Argentina, Israel and other lands. Wher­ever they settled, however, they brought with them the pride of their origin. They transplanted their civic spirit, their zest for living, their creativity and their ingenuity to their new homes. Shortly before 1914, 80% of Bialystok’s inhabitants were Jews. Virtually its entire economic and social infrastructure was in Jewish hands. By 1939, just before the Nazi invasion of Poland, 100,000 people lived in Bialystok, 60,000 of them Jews. The ethnic mixture of the city included Poles, Jews, Russians, White Russians, Germans and Lithuanians. Jewish Bialystok was well known throughout Russia, Lithuania, Poland and other places as a center of Jew­ish culture, variegated social activities and philan­thropy. It always joined other major Jewish communities in Eastern Europe in assisting needy Jews with generosity and enthusiasm. The town was the cradle of the Chovevei Zion (Lovers of Zion) movement. This focus on Israel as the Jewish homeland was shar­pened when, in 1882, several prominent Bialystoker pioneers helped establish Petach Tikvah in Israel. They founded businesses, built houses, and organized cul­tural and social institutions in the Holy Land. Israel was, however, not the only part of the world in which Bialystoker Jews invested their energy and resources. Mosesville, a Jewish colony in Argentina, was formed through the efforts of Jewish Bialystok. Villa Lynch, an industrial center in Argentina, came into being as a result of the initiative, efforts and money of Jews in Bialystok. In the United States, Mexico, South America, Western Europe and Israel, there are today significant communities of Bialystoker landsleit to whom perpet­uating the heritage of their beloved hometown is essen­tial. We shall see later on in greater detail the contributions of Bialystokers to various lands. Needless to say, the Jewish citizens of Bialystok did not neglect their hometown itself. They organized Yiddish- and Hebrew-speaking schools, gymnasiums (advanced high schools), libraries, theaters, music groups, sports clubs, and a multiplicity of other cultural organizations. Habimah, the famous Hebrew theater company that has delighted audiences throughout the world, was started by Nochum Cemach, a Bialystoker Jew. The city had an intelligentsia that included writers, scientists, actors, musicians, artists, educators and polit­ical leaders. In the religious sphere, Bialystok produced great rabbis, Talmudists and yeshiva educators who spiritually uplifted the Jewish community. They func­tioned within more than one hundred synagogues and yeshivot in the city and its environs and encouraged the masses to maintain contact with their Jewish tradition — to study and pray. Generations of Jewish children were educated in these institutions. Young students from nearby towns came to Bialystok to study Torah in its highly regarded yeshivot. Their hosts, among the most gracious, generous and hospitable Jewish families to be found in Eastern Europe, provided them with food and lodging. One of the distinguishing features of the Jewish community in Bialystok was its absolute dedication to assisting the poor. The community established its own Jewish hospital, a Linas Hatzedek (a free clinic where physicians donated their services to the destitute and medications were dispensed gratis), an old age home, orphanages, aid societies and lending institutions. Many individuals, both men and women, felt an obligation to serve as alms collectors. They solicited donations from the Jewish population and then distributed the funds to the needy. The poor were also provided with wood and coal for heat, food for the Jewish holidays, money to help pay their rent, and marriage dowries for their daughters. All of this was done quietly and with the greatest discretion to preserve the dignity of the recipients. The Jewish community of Bialystok displayed the best traits of the Jewish people as a whole: ambition mixed with mercy. It left a record of rich and ennobling achievements. There was every reason to expect that many more pages would be added to the chronicle, which would have made it even more impressive, had Bialystok continued to exist. Unhappily, the Nazi juggernaut, in its diabolical effort to annihilate every Jew, did not spare this illus­trious center of Jewish creativity and compassion. The town was utterly destroyed, but its legacy must never be forgotten. This Bialystok Memorial Book, therefore, represents the last and best attempt of landsleit who remember Jewish Bialystok to make certain that the legacy outlined in this chapter will long be remembered. Future genera­tions, it is hoped, will sift through these pages and discov­er their roots, physically buried under the rubble but spiritually everlasting. The tragedy of Bialystok’s destruction was elo­quently described in a poem written by Z. Segalowicz, titled “My Bialystok.” He likens his memories of his beloved hometown to a book that has fallen into a fire, consumed by the hungry flames. Disbelieving and cata­pulted into a state of shock, the poet asks, “What hap­pened to my town? My generation? My past? Where are my family and friends? How devastating it was for an entire breed of believers with high hopes and expecta­tions, bubbling with pride, filled with courage and awaiting a bright future, to be condemned to oblivion by a raving and bloodthirsty nation.” Surely all we can do is to rewrite, though in abridged form, the original book incinerated in the fire. Former Jewish residents of Bialystok recall today the towering town clock in the center of the city built by Count Bronicki more than two hundred years ago. Var­ious streets, lanes and byways enabled people to take pleasurable walks, the young citizens looking forward to better times. Nearby was a forest where Jewish stu­dents, working youth, white-collar employees and sales­men congregated – laughing, expressing joy, singing songs of freedom and love, setting forth a vision of a more beautiful world. Who could forget the famed Great Synagogue, burned by the Nazis in 1941 with about 2,000 Jews inside? This holy place, before its ignominious end, was the main center for Bialystoker Jews to pray, vent their spiritual fervor and link up with the traditions of preceding generations. Throughout the existence of Bialystok’s Jewish community, circumstances were intermittently difficult. With the exception of the well-to-do, most Jews had to eke out a living with great effort. Life was often a strug­gle. Survival never could be taken for granted. Yet the Jews lived, worked and in general led a beautiful life. They studied and were involved in cultural, spiritual and intellectual pursuits. In so doing, they elevated the quality of their lives, not permitting poverty or other adversity to trivialize their existence. Particularly under Czarist rule, many Jews in Bialystok were moved by revolutionary zeal. Ferment and unrest often occurred in the face of oppression. In fact, the Jewish labor movement in Bialystok spear­headed this dissatisfaction with the status quo. After World War I, Bialystok, then a part of inde­pendent Poland, became well known as an important labor center where Jewish entrepreneurs, workers, mer­chants and artisans made up a significant portion of the population. Discussions raged about the issues of the day. Bundists, Labor Zionists, anarchists and members of other parties engaged in formal as well as spontane­ous debates on the best way to achieve their goal of a more just society. Alas, this new world of social justice, this utopia, would never materialize. In the late 18th and early 19th century, Bialystok achieved a reputation as the third largest textile city after Moscow and Lodz. Several years before its liqui­dation in 1943, it did appear that Bialystok was outdis­tancing Lodz in manufacturing textiles, silk and coats. Because of its phenomenal industriousness, the city developed a worldwide network of markets for its tex­tile products. The first silk factories in Bialystok opened in about 1850. To be sure, they were small, with weaving looms that could be operated only by hand. This manual labor was difficult and tiring. Jewish weavers labored day and night for starvation wages. In 1850, two Bialystoker Jews, Nochum Minc and Sender Bloch, were the first silk manufacturers in Bialystok to institute a steam­powered loom. Later on, they utilized electric machines, which made the manufacturing process much easier. Jews in Bialystok developed and modernized many other industries as well — tailoring, tanning, furriery, masonry, shoemaking and tobacco manufacturing. 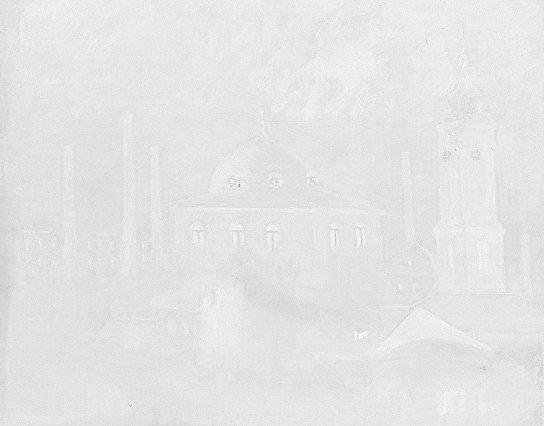 When I arrived in Bialystok in the spring of 1880, the Turkish War had ended. Textile manufacturing had begun to flourish, Jewish participation in this industry increasing to an advanced stage. Bialystok already could boast of several wealthy Jews. In general, the socioeconomic status of the Jewish population was satisfactory. The time was ripe for an economic upturn. Nevertheless, Bialystok still retained the outward appearance of a small shtetl. Large brick homes were few in number. In the main, the town consisted of small wooden and a few shingled dwellings. Fences parti­tioned these modest residences. There was still no run­ning water. People depended upon water carriers. Certainly no electric lighting existed at that time, nor was there yet a theater. No large hall was yet available to accommodate weddings, concerts or debates. The comedienne Sonja Zadrunski (Sonja der Badchen) entertained at weddings. Social life was almost entirely interwoven with the religious. It was mainly confined to the batei midrashim. The larger study halls, where people prayed, studied, discussed civic matters or just idly spent their time, played a vital role in Jewish life. Hebrew teachers, pious Jews, the wealthy and philanthropists enjoyed the most esteem. The Enlightenment (Haskalah) had long before infiltrated Bialystok. Still, the Maskilim did not enjoy much prominence. Actually they were a repressed minority. Consequently they established their own separate synagogue. Gradually the Hatzfirah (Haskalah-oriented) newspaper began to circulate until it attracted four hundred subscribers. No newsstands, however, existed then in Bialystok. Since the older peo­ple could not read Russian, they were satisfied with the news conveyed to them by younger citizens who read the Russian papers. The Torah ignoramus received no respect what­soever. Only a laborer who also knew how to study the Torah was honored. Simple Jewish toilers learned Ein Yaakov, listened to a magid or recited the Psalms. Also for them the bet hamidrash served as the community center. Everyone knew everyone else’s business. Gossip was never lacking. Yet the main topics of conversation were political. Many disputes arose in the batei midra­shim concerning civic or communal matters. The usual times for these exchanges were the Jewish holidays when Jews did not go to work. Every bet midrash had its spokesmen and its wise guys. Count Jan Klemens Bronicki II (1689- 1771), who inherited the village of Bialystok from his father. During his life time (1742), King August III raised the status of Bialystok from a village to a town. This act enlarged the Jewish settlement in Bialystok and led to its eventual development as a large industrial city. The large manufacturers of Bialystok were mostly German. The Jews constituted the small factory owners. At that time Bialystok had a large number of Jewish saloon keepers, most of them earning meager livings. Many Jews depended for their livelihood upon the local peasants, enduring only through hard work and always harried. In such circumstances one hoped to be liberated one day by a miracle, a stroke of good fortune. No wonder that lottery tickets, which had pre­viously been popular among Jews in Lithuania and Poland, came into vogue at that time. Bialystoker Jews were enchanted by this novel temptation. They bor­rowed money, pawning all that they had, to purchase these stubs. Some were wiped out as a result. Although selling foreign lottery tickets was forbidden by the Czarist regime, many in Bialystok flouted this rule. Col­lectors of lottery tickets of all types flourished. Not only were whole tickets sold, but halves, fourths, eighths and still smaller slivers of tickets changed hands. Even Rus­sian officials bought foreign lotteries. Poor people would purchase them on the installment plan, or together with a partner. After my arrival, I found all the religious, philan­thropic and educational institutions of the Jewish com­munity in miserable condition. Everything seemed to stand still, failing to develop when the Bronicki era ended. These organizations were simply inappropriate for a city that had an industrial revolution. All, with the exception of the Jewish hospital, were confined to the synagogue court in the area later to become the ghetto. This location was perhaps the filthiest in the entire town. The Great Synagogue, in the center of this quarter, was relatively small, built by a few local residents. Inside, everything was neglected and dirty. The “sacro­sanct” spider webs were not permitted to be detached from the walls. Once a new sexton authorized removing the webs, whereupon elderly pious Jews criticized him as if he had committed sacrilege. The talmud torah and the yeshiva were located in four wooden houses built at the beginning of the Rus­sian administration and allowed to deteriorate. In these buildings 450 pupils — 275 Bialystokers and 175 from the surrounding towns — studied in cramped quarters. In the poorhouse lay incurables — the maimed, crippled, the mentally retarded and psychopaths. The scene was horrifying. The sick literally rotted in their own excrement, suffocating amidst all the clutter. I still tremble when I remember that terrible spectacle during my first visit. When I compare the wretched conditions of the original communal institutions in 1880 with the later growth and development of its philanthropic organiza­tions, I am amazed by Bialystok’s phenomenal social accomplishments during the latter half of the 19th cen­tury and its rapid expansion. This accelerated growth, brought about by the initiative of the Jewish popula­tion, was especially noticeable in the last twenty years of the previous century. Jewish merchants and factory owners began to develop markets in other countries. They could no longer feel comfortable with their “small town” status. Never again would the modest wooden dwellings be adequate. At the first opportunity, and sometimes even without the necessary funds, people began building three- and four-story houses with every modern innova­tion known at the time. The new homes brought in reliable revenues, although interest on capital invested in building houses was always smaller than earnings from business endeav­ors. That’s why at first only the wealthier capitalists could afford to erect apartment buildings containing several rental units. All of this changed when various banks in Wilno began granting loans to those who built new apartments. Certainly Bialystok’s creditable eco­nomic condition justified the banks’ action, since the textile industry would always continue to expand. Mortgages up to 60 and 70 percent of the buildings’ value were approved. Such a favorable climate for con­struction was a great asset for Bialystok. New apartment buildings sprang up out of nowhere. People built homes for themselves or rented them to others. Later on it became possible to obtain mortgages on homes at their full value and, if one bothered to embellish the figures on the application, the mortgage could be greater than the value of the build­ings. Loans could be obtained even before construction was completed. After several decades, Bialystok burgeoned with buildings, the vacant spaces virtually vanishing. No longer was there any room for fences between homes. The town sprawled from one end to the other. New streets opened; neighborhoods formed. Jews created a village from a hamlet, and later a city from a town. The building trades consisted mainly of Jews. It cannot be emphasized enough that Jewish energy, Jewish indus­triousness and Jewish labor worked together to make Bialystok grow. If this construction surge had continued, Bialystok would have grown to a truly large city through Jewish initiative. But the process was interrupted by the industrial crisis of 1900. Construction depended on easy and cheap credit, and on the false premise there would always be a booming textile industry. That rosy out­look, however, changed precipitously. A large number of homes were taken over by the banks because tenants could no longer pay the land­lords. Many buildings were sold at lower prices. The resulting economic downturn led many Jews to leave Bialystok and its surrounding communities. Housing no longer generated the earlier copious revenues; rents plummeted sharply. Banks, which previously had granted mortgages on liberal terms, stopped because of the unfavorable circumstances. As a consequence, hous­ing construction ceased altogether. From that time, Bialystok grew no more. It remained more or less the same size it was in 1900, even after the economic crisis passed and the population increased. No longer were vacant homes to be found. On the contrary, a housing shortage developed. Rents soared to an all-time high. Despite the housing crunch, new homes were not constructed. This situation con­tinued until the end of World War I. After 1918, when a large number of emigres returned to Bialystok, a great demand arose for new homes. People paid high prices for uncomforable resi­dences, bribing landlords to secure apartments. Ordi­narily, such conditions would have led to a new wave of housing starts. Incredibly, however, no new homes were built in those difficult transition years. Only a small number of delapidated factory buildings were remod­eled into dwellings. Furthermore, a significant portion of larger homes were subdivided into additional living units. Bialystok was sensitive to the needs of other com­munities — always ready to help a neighboring town in difficulty. When necessary, prominent businessmen as well as plain folk took it upon themselves to collect funds from the public in order to provide assistance. For their part, Bialystoker Jews routinely responded to such need with generosity that should be a source of pride for all Bialystoker landsleit. Conversely, Bialystok received gracious support from other communities, individuals and distant institutions, when it found itself in distress after the terrible pogrom of 1906. Bialystok was always a predominantly Jewish city. Only the character of its Jewishness was to change to any great degree. Earlier on, the pacesetter of the intel­ligentsia was the Talmudic scholar, who possessed vast halachic erudition and set a high moral example. The scholar spent his free time studying the Torah, distanc­ing himself as much as possible from the alien technical culture of Western Europe. His goal was to be compe­tent in Jewish law. The scholar, therefore, not the rich man, enjoyed the greatest prestige within the Jewish community. Material possessions and economic power did not confer nobility; knowledge did, coupled with clean liv­ing based on Torah principles. Historian and researcher, Hebrew-Yiddish writer, author of the exhaustive monumental work Pinkas, Bialystok and other scientific works; organizer of the Hebrew language Society. Perished in the liquidation of the ghetto in 1943. Gradually, however, the eminent position of the Talmudic scholar was taken over by the new intelligen­tsia and leaders of political parties. This new aristoc­racy no longer needed to possess much Jewish education. Effective public speaking was more important as well as the influence one could bring to bear upon the members of his group. While this phenomenon was seen in many other places, it was particularly evident in Bialystok. Beforehand, legends were created around great person­alities in Bialystok. Subsequently, however, the public’s attention focused not on individuals but on parties and their accomplishments. Because Bialystok was such an important indus­trial center, the first organizers of the labor movement had a greater impact on the life of its Jewish commu­nity than elsewhere. The Freedom Movement of 1903-1906 put its stamp on Jewish life in Russia and Poland. In Bialystok, that revolutionary fervor left an even deeper imprint. Waves of change hit the city with great force, and when the tide began to ebb, a complete transformation had been effected. Both the labor movement and the young student organizations brought about alterations in Bialystok’s life style. The children who studied in Russian and Pol­ish schools introduced an alien spirit among many Jew­ish families, even among the most pious. The entire community began to acquire a new appearance. Even though the traditional life forms remained on the surface, a new attitude emerged from within. No longer was it possible in many batei midra­shim to pray with a minyan during the week (an impedi­ment unheard of just a few years earlier). Jews did not seem to be interested in studying the Torah any longer. Religiosity among the laity was more external than real. Despite the rise of new Jewish educational institutions, the trend away from religion increased. The extent to which traditional Jewish life deterio­rated in Bialystok could be measured by the decline of the rabbinate, which in its heyday produced great Torah authorities. These rabbis instituted Jewish eccle­siastical courts (batei din), which wielded significant power in the community. Appointments to these tribu­nals were made infrequently and according to the most stringent religious standards. With the new swing toward secularism, rabbis were appointed to the courts not to propagate Judaism but to represent the interests of powerful businessmen and lay people. It soon became fashionable among the more edu­cated and the well-to-do to be antireligious. The young proletariat, as well, was consciously undevout. They began to work on the Sabbath and Jewish holidays. No longer was kashruth observed. No one thought of teach­ing his children how to pray anymore. Whereas at the end of the last and the beginning of this century public desecration of the Sabbath was unknown — for example, no one kept his store open or smoked in public on the Sabbath — in 1905 things changed. Work was done behind half-closed doors on the Sabbath. People walked in the streets with cigarettes in their mouths. War had intensified this movement away from religion. To be sure, Judaism was still prac­ticed outwardly but more in form than substance. The atmosphere of the Sabbath and the Jewish holidays, so sacred in earlier years, had by this time evaporated. These shifts also occurred in the smaller towns and villages, but in Bialystok they were more profound. It, more than the surrounding communities, had gone through most keenly the economic changes brought about by industrialization. Textile manufacturing in particular experienced ups and downs, every change sending shock waves through the city. Economic crises, years of rapid development, revolutionary movements, pogroms, wars, changing political jurisdictions, new upheavals — all of this kept the average Bialystoker citizen in a constant state of flux. He was forced to adapt to these vicissitudes quickly and with little preparation. Perhaps he was more restless and energetic than his peers elsewhere. The street effervesced with ferment; life was vibrant and adventuresome. Both the economy and the cultural sphere benefited from these radical shifts. Not always did positive results emerge. Yet there was a constant readiness to experiment with new ideas and approaches. This quick growth within Bialystok generated some trends that cannot be considered satisfactory. In 19th century Bialystok, in my opinion, more worthwhile and lasting achievements were made than in the later period. Strides in the religious sphere outshone in con­tent and value those of the Haskalah movement. For example, Yiddish literary creativity seems to have eclipsed the use and development of Hebrew in the last period. In fact, Hebrew books and writers almost com­pletely disappeared from Bialystok. This partial withdrawal from cultural creativity can be explained by the fact that commerce and industry consumed much of the creative energies and interest of Bialystoker Jews. Bialystok bookstores sell no Hebrew books except for some elementary textbooks. While there is a distinguished Sholem Aleichem Library with many Yiddish volumes and many opportunities to read books in Polish, serious afficionados of Hebrew have no similar facility. The middle class had supported the Chibat Zion (pre-Zionist) movement and the Hebrew language. That same bourgeoisie, which actually created and maintained Bialystok’s Jewish religious and philan­thropic institutions, is now experiencing hard times. Nevertheless, a new nationalistic, Hebrew-speaking youth is growing and developing, fervently wishing to practice its national ideals, a youth no less enthusiastic than its counterpart in the labor movement that draws its knowledge and inspiration from Yiddish literary creativity. In summary, I witnessed spectacular changes in the organized life of Bialystoker Jews. At first its focus was the bet hamidrash, and later the cultural and political circles such as the Haskalah movement and the Chibat Zion. In the last decades the culture groups have receded, supplanted by political parties. All ideologies are represented in Bialystok, from extreme right to left. The Jewish community of Bialystok made a great con­tribution to the development of the Chovevei Zion movement. Bialystok was a great center of Zionism, where a multiplicity of parties sprouted forth. The goal of the earliest Chovevei Zion leaders in Bialystok, as elsewhere, was to encourage Jews to settle in Israel, as well as to establish Jewish colonies there. The Zionists substantially influenced the local Jew­ish community, particularly the well-to-do. This was evident in the growing interest of Jews to learn and speak Hebrew. A number of Hebrew teachers, for whom there was an ever-increasing demand, were earn­ing good livelihoods teaching the Hebrew language. Another manifestation of the Zionist influence was the rising popularity of the newspaper Hatzflrah, a Hebrew publication with a circulation of four hundred in Bialystok. 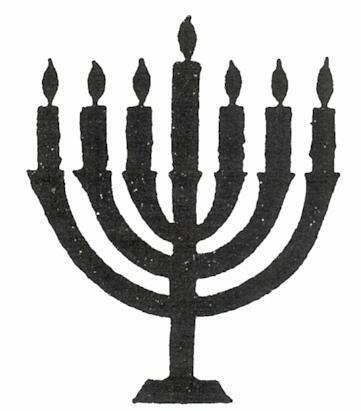 The Chovevei Zion party, precursor of the Zionist movement, was founded in June 1882. Its organizers included Josef Binjomin Krynski, Cwi Hirsz Liberman, Dr. Josef Chazanowicz, Jakow Alter Sapersztejn, Pej­sach Witenberg, Jehoszua Heszel Klementynowski, Kal­man Pikus, Shabsaj Rudkowski, Chaim Margolis, Jehuda Josef Jelin, Jechiel Goldsztejn, Awrom Lejbo­wicz, Menachem Mendel Kreczmer, Izchok Jafe, Isroel Chaim Sztimer, Ben-Cion Lyfszic, Don Lewin, Lipa Kaganowicz, Cwi Jehuda Brajnski, and Simcha Bunim Halewi Hurwic. The first meeting was held in Jakow Sapersztejn’s house in the synagogue court in Bialystok. The second assembly, which attracted a much larger turnout, took place in Dr. Josef Chazanowicz’s home. Several top Zionist figures in Bialystok, such as Dr. Chazanowicz, Rabbi Meir Markus, Jakow Wolf, Josef Binjomin Krynski and others quickly took the helm of this movement. In a short time, the party was able to recruit the support of several hundred members. Not surprisingly, its impact on the Jewish community as a whole deepened as time went on. 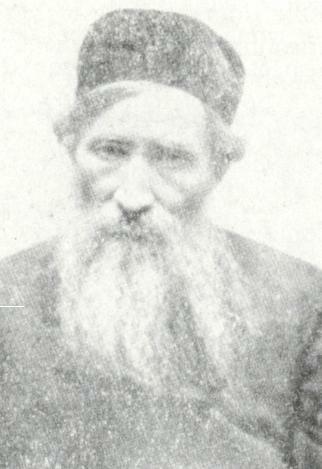 Rabbi Szmuel Mohi­lewer was appointed a rabbi of Bialystok, thanks to the clout of the Chovevei Zion party. 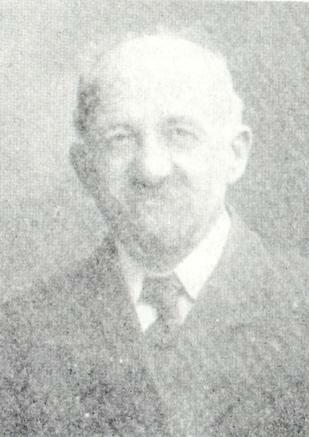 In fact, Rabbi Mohilewer later became the standard-bearer of the movement. The Zionist wave in Bialystok encouraged the founding of Chovevei Zion organizations in other com­munities. A convention of these groups was called in Druskeniki, and Odessa was selected as the center for the Zionist cause. In 1890 the Russian government for­mally recognized the Chovevei Zion organization under the name of “Society to Support Jewish Land Workers in Syria and Palestine.” At the 1890 convention in Odessa, the Bialystoker delegates were Rabbi Mohi­lewer, Dr. Chazanowicz and Izchok Ajzik Ben Towim. After the conference they traveled to Israel to see the work of the first Jewish pioneers. Rabbi Mohilewer’s guiding purpose was to estab­lish a stable Zionist organization in Russia. To this end, he arranged for a meeting in Bialystok in the spring of 1897, attended by about fifty people, many of whom were well-known Chovevei Zion members. At this gath­ering the constitution for the Zionist organization in Russia was adopted, which was later to play a major role in the overall movement. Various cities were assigned different tasks in furthering Zionism: Bialystok would be the spiritual center, Kiev the financial capital, Kishinev the mailing headquarters and Warsaw the literary and propaganda mecca. 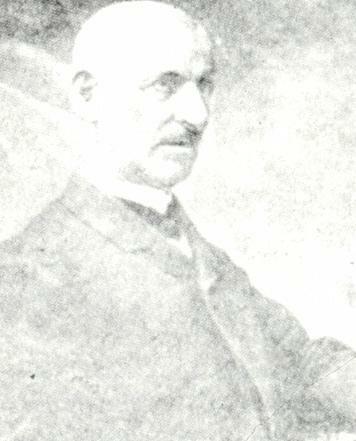 In May 1898, Rabbi Szmuel Mohilewer died. After his death, Bialystok made the transition from the theoretical to the practical Zionism espoused by Dr. Theodor Herzl. Zionist circles won new leaders and dedicated activists who, on a broad scale, began pro­mulgating Zionism throughout Bialystok. This philos­ophy also attracted many young Jews, who initiated new theoretical departures, resulting in many Zionist-oriented clubs with a rich agenda of ideas and goals. All the familiar languages, Yiddish, Hebrew and Russian, were used to encourage Bialystoker Jews to settle in Israel. Numerous meetings, assemblies and dis­cussions were held. Each faction lobbied for its view of the direction Zionism should take. Ultimately, a number of Jews left Bialystok to live in Israel. These Jews from different backgrounds became important pioneers. Bialystoker Jews built many important industries and in general assisted in developing the land. Today a number of Bialystoker Iandsleit occupy important positions in the Israeli government. Some have also distinguished themselves as military heroes. Until the outbreak of World War II, Bialystok was the scene of a well-organized Zionist movement with various groups following diverse ideologies. This plural­ism thrived in Bialystok until the Holocaust destroyed its Jewish community. In 1897, I [Landau] traveled to many Jewish cities and towns in Poland and Galicia doing research. At that time, I had the opportunity to meet in Bialystok with Rabbi Szmuel Mohilewer, who was by then a world-renowned personality. I entered a dignified residence in one of Bialystok’s quiet streets. An elderly man with a long beard greeted me warmly, reminding me of my own grandfather, the Rabbi of Krakow, Rabbi Szoul Refoel Landau of blessed memory. It was evident that Rabbi Mohilewer, this angelic figure, suffered circulatory problems, find­ing it difficult to stand or walk. Before I left he raised his eyes heavenward, utter­ing a remark I shall always remember: “I am prepared to sacrifice my life.” He spoke these words in a moment of dismay when I mentioned obstacles the Zionist ideal had been confronting. At that point, I left Rabbi Mohilewer’s presence. Later, walking through the streets of Bialystok and talking to various classes of Jews – workers, mer­chants and plain people – I realized how universally beloved and esteemed this elderly leader was. Everyone related vignettes that showed him to be a very special man. It was well known that when he arrived in Bialy­stok he brought with him 40,000 rubles, then a sizable sum, and distributed the full amount as charity for the poor. He lived only on the small salary the community paid him. This Rabbi of Bialystok, Szmuel Mohilewer, had an influence far beyond the borders of his town. He formulated much of Zionist theory and the ideals upon which the modern State of Israel was founded, during a long life of selfless leadership. He was deeply religious and held the vision of a redemptive future in an Israel populated by the Jewish people. 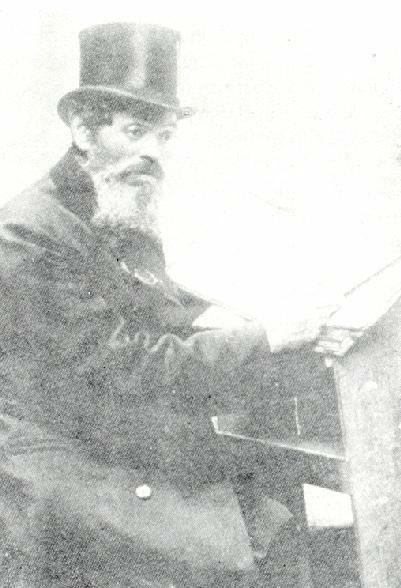 As early as 1882, seventy Jewish weavers went out on strike against the factory owner, Aron Suraski, demanding higher wages. Most of the strikers were Chasidic Jews, as was their employer. This stoppage set a precedent for other job actions over wage disputes. A massive shutdown — which spread throughout the entire textile industry in 1894, involving mainly non-Jews — came about after the Czarist regime demanded inspections and productivity quotas, issuing each worker a booklet to jot down his quota for the day. In protest, all of the silk workers left the factories. The walkout lasted for more than three weeks. Only after the police commissioner and the factory inspector promised the strikers they could not be laid off without cause and would receive pay on a weekly basis did the employees return to work. This had an effect on other industries as well. Some ten thousand workers had participated in that strike. Also in 1894, Jewish weavers led a demonstration around their fac­tory, daring to even enter the building and eject the strikebreakers. The workers in the textile industry had won a twelve-hour work day. The weavers’ average weekly earnings ranged between six and seven rubles. In 1900, with the advent of the great economic crisis in Bialy­stok, the number of employed weavers dropped sharply because three-quarters of the factories closed down. The unemployment rate was high, the situation critical. To call attention to their predicament, the jobless weav­ers and their wives did not permit the Torah to be read at Sabbath services in the synagogue, a spectacular event. The community was forced to open two kitchens for those out of work, charging a small sum for soup with bread. Some people were so poor they did not have the four kopeks to pay for this meager meal. The organizers of these kitchens had no choice but to pro­vide these destitute individuals with free food. This crisis greatly strengthened the labor Bundist movement in Bialystok. While in 1898 only two hundred enrolled Bundists could be counted, in 1901 there were already about seven hundred. The Bundists agitated in the streets, urging the Jewish masses to throw away their banal novels and replace them with Bundist literature provided by two libraries in Bialystok, one run by Rabbi Szmuel Mohi­lewer, the Zionist-oriented rabbi. These books were in Hebrew and dealt mainly with the need to settle in Israel. The other library, under the management of Awrom Icutik, contained Russian, German and Yiddish books. Many radical and socialist volumes were to be found in Kutik’s library. The two libraries played a major role in evolving Jewish socialist and nationalist consciousness, and served as sources of general knowledge. The two main currents, Zionism and socialism, merged as one ideol­ogy in the minds of the masses under the influence of the Bundist literature. Bialystok was one of the main centers of the Bund. From 1900 to 1905 the Bund Central Committee was located there. Three party leaders, Nojach Portnoj, Dr. Pawel Rozental and his wife, Ana, lived in Bialystok. Moreover, the third and fourth conferences of the Bund were held there. The Bundist movement grew stronger from year to year. Besides the official organ of the central commit­tee, the Bundist Voice, several Bundist tabloids appeared from time to time, as well as a newspaper, Bialystoker Stimme (unrelated to the magazine published by the Bialystoker Center in New York), which reflected the interests of the local workers. Not only did unjust working conditions in Bialy­stok generate a labor movement prepared to strike and bargain collectively with management but the workers were encouraged to support a strong labor counterforce to the formerly dominant factory owners. It was difficult to carry on a calm discussion with Dr. Chazanowicz. He always seemed enraged, particularly at the slowness with which many Jews responded to Zionism. At that moment the door of the restaurant flung open and in came Dr. Herzl. Everyone stood up, speechless and in awe. Herzl scanned the room and, noticing Chazanowicz, hurriedly went over to him: “How are you, my dear Dr. Chazanowicz?” The latter, all color drained from his face, extended a tremulous hand to Herzl and collapsed onto a chair. Herzl gave him a fatherly embrace and kissed his head. Well-known eye specialist and founder of the international language Esperanto; died in Warsaw in 1917. Eleanor Roosevelt once publicly called for the creation of an international language, spoken and understood by everyone, that would in her view help to establish a lasting peace among nations. Surely this idea was worthwhile, although not orig­inal to Mrs. Roosevelt. One must assume she knew such an international tongue already existed. It was created in 1887 by none other than a Bialystoker Jew, Dr. Lud­wig Zamenhof. This masterful language, Esperanto, designed by Zamenhof to foster international cooperation, was quickly accepted. In many parts of the world groups of Esperantists were formed. Their intention was to popu­larize the language. Naively but with complete sincerity they believed this language would bind together people all over the world, who would no longer need to feel hostile toward one another. Like Mrs. Roosevelt they had an abiding faith in the important role a universally accepted tongue would play in promoting world peace. Perhaps much of the alienation among peoples has resulted from the difficulty in communicating because so many languages exist. One nation cannot understand another. It was hoped that if they all spoke one tongue, one directly to another without the help of diplomats, they would surely be able to relate better, draw closer, and not have to resort to grandiose peace conferences in order to live in harmony. It is fitting that the founder of Esperanto was a Jew from Bialystok, a place where Jews encountered many ethnic groups and languages — Polish, Russian, German, Lithuanian and White Russian as well as Yid­dish and Hebrew. This greatly affected Ludwig Zamenhof from his early youth. He was born in Bialystok in 1859 to poor Jewish parents. As a student, Zamenhof grappled with the problem of bringing nations closer together. He came upon the idea-of formulating a universal language and dreamt of a world in which all nations would be treated equally. Esperanto has the advantage of a simple grammar and syntax. It is a phonetic language; every letter con­sistently has the same sound and the words are pro­nounced as they are written. In 1878, as a 19-year-old high school student, Zamenhof sat in a small room in his father’s house in Bialystok, and created a rudimentary grammar that he initially called the “Language of Everywhere.” This dia­lect, the existence of which was known only to several of his friends in Warsaw, where he later studied, was the forerunner of Esperanto. 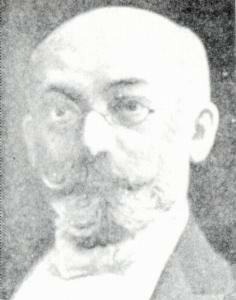 Dr. Zamenhof, who in the meantime practiced ophthalmology in Warsaw, was not satisfied with his first success. He continued to work incessantly toward the widest dissemination of the new international lan­guage, which from year to year won new converts. Yet the creator of Esperanto, like other Jewish inventors, did not live very comfortably. The more honors he received for his linguistic achievements, the fewer patients would appear in his consultation room. There were even times he found himself financially strapped. Only in 1900 did his material status improve. Five years later, he permitted himself a long vacation during which he attended the first world convention of Esperantists, in Belgium. After 1905 Esperanto conventions were conducted annually, each time in a different city. In 1910, a con­vention was held in Washington and in that same year the State of Maryland adopted Esperanto as one of its officially recognized languages. Several American schools instituted Esperanto as a required language in their curricula. In 1914, some five thousand delegates assembled in Paris at an Esperanto convention, where representatives of most of the nations of the world participated. Dr. Zamenhof died in Warsaw in 1917, ironically when a new era began in the world and many thought mankind came a step closer to his ideal — brotherhood and harmony among nations. In Zamenhofs birthplace of Bialystok, Esperanto became a required language in most schools. Not only in his hometown but in the world his life’s work will be remembered by many groups of Esperantists, which still exist today. In 1910, approximately 1,700 Esperanto societies were counted. Many literary works were translated into Espe­ranto, including Shakespeare, Homer’s Iliad and others. A special commission undertook a systematic transla­tion of the Bible into Esperanto, and Dr. Zamenhof himself published a translation of several books of the Old Testament. Innumerable magazines and monographs advo­cated the use of Esperanto, but later, during World War II, it became impossible to pursue the broader dissemi­nation of Esperanto within the human family. We must redouble our efforts to fulfill the dream of this Bialystoker Jew, Zamenhof. There is no better way to reduce the likelihood of war than to promote mutual understanding and sympathy among all the peo­ples of the world. In the spring of 1882, the mood among Jews in Bialy­stok was tense. Rumors of impending pogroms added to the feeling of strain. In the saloons and the market­place, peasants and non-Jewish workers whispered the rumor that the German Kaiser had issued an order per­mitting Jewish property to be robbed. On a Sunday, peasants from the surrounding towns, many in wagons and others on foot carrying empty sacks under their arms, entered the city en masse to pillage Jewish stores. As it turned out, they fared quite poorly. It soon became known that a pogrom was immi­nent. Jewish butchers closed their shops, taking with them knives and meat cleavers, and hurried to the mar­ketplace. The hulking wagon and coach drivers pre­pared themselves with poles and sticks to greet the pogrom attackers. In the afternoon, drunken peasants took to mo­lesting Jews; groups of hooligans threw merchandise from sales booths to the ground. That was the cue for the Jewish butchers and drivers. In less than an hour, the marketplace was emptied of the peasants. The butchers waved their knives, the wagon drivers their poles and the coachmen chased the peasants on their horses. As a result, the Poles fled back to their towns, not only with empty sacks but with wounds from the knives, rods and sticks. The anticipated pogrom in Bialystok in 1882 never occurred. But in the summer of 1905, a military pogrom against the Jews was launched. On a Sabbath after­noon, a company of soldiers appeared in the market­place, shooting in all directions. Jewish passersby ran for cover. The soldiers scattered the groups into the nearby streets, firing upon innocent bystanders and into Jewish homes. This continued into the night. The toll in the Jewish Hospital was several scores of wounded and two rows of dead bodies, the victims of military bullets. The carnage of the murderous pogrom in Bialystok of June 1-3, 1906 was even more dreadful. The Jewish Hospital in Bialystok was overflowing with visitors to the wounded. A heartrending outcry was heard when the public saw stacks of murdered victims in the hos­pital courtyard. Eighty martyrs lay there. Days later another twenty dead were added. On the following Monday the funerals for the mur­dered began, a horrible scene. 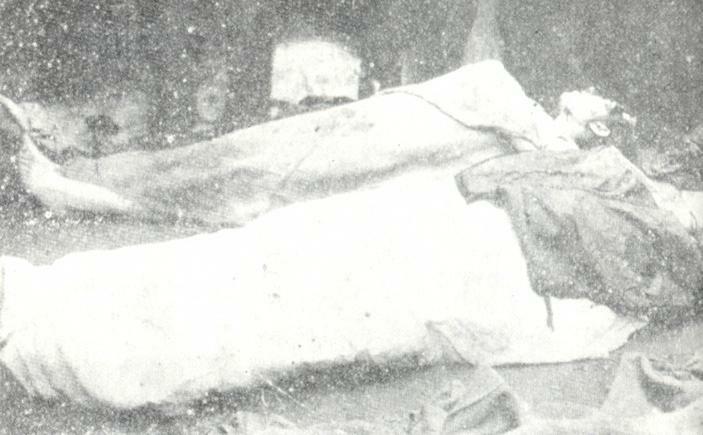 Wagon after wagon, cof­fin after coffin, stretched from the hospital to the Bagnowke Cemetery. The crying and screeching within the funeral procession combined with protest and uncertainty. Many were consumed with a desire for revenge. All the dead were buried in one mass grave. Two months after the pogrom, social revolutionaries shot to death the stationmaster at the railroad who supervised the killing of ten Jews at the railroad station. Other prominent leaders of the pogrom were later assassi­nated in Grodno and St. Petersburg. Victims of the tragic Saturday of July 30, 1905, when Russian soldiers slaughtered 25 Jews in Surazer Street. For three whole days, June 1 to 3, 1906, Czarist mur­derers ravaged the people and property of the defense­less Jewish community in Bialystok. “Green Thursday,” June 1, 1906, the first day of the pogrom, did not come as a complete surprise to the Jews. In fact, the town of Bialystok had expected an onslaught for a long time. Ever since the chief of the Czarist police force had been assassinated, people noticed that the police, together with the military garrison in Bialy­stok, were preparing for a bloodbath against the Jews. The then-prosecutor of the town, however, was a fervent anti-Semite who conspired against the police chief because of the latter’s liberalism. That district attorney was one of the main organizers of the pogrom. As was later revealed, plans were made for the attack to occur on “Green Thursday,” a Christian holiday, when many gentiles gathered to march in a religious proces­sion through the main streets. On that day two proces­sions took place: the first was a Catholic parade that started from the Polish church in Bialystok, and the other a Russian Orthodox march originating from the Russian church. When the second procession reached “New City,” a section of Bialystok, someone fired a shot as a signal for the pogrom to begin, and the slaughter of the Jews commenced. Hundreds of hooli­gans armed with crowbars, knives and axes, escorted by police and soldiers, fanned out into the center of the city, smashing doors and windows of houses and stores, looting and pillaging everything in sight. The unarmed Jewish population, terrified by these murderous acts, ran for cover in airless cellars and attics, where they hid for the entire three days, hungry and prostrate, antici­pating death at any moment. The sound of gunfire echoed throughout the city. Armed soldiers and police went shooting in the streets and houses while bandits broke into and robbed the stores. On Thursday and Friday nights the shooting increased. The town went deathly still whenever steps were heard outside on the sidewalks. This meant the marauders were near and might, to the horror of Jews concealed in their homes, enter. In fact, on both these nights soldiers, police and hooligans did break into many Jewish homes, committing brutal murders. Either they shot people on the spot or forced a whole group out into the street and killed them there. Worst of all was when these vicious criminals gouged people’s eyes out with their nails or stuffed their cut-open abdomens with feathers. Some of the victims included small chil­dren, whose heads and other organs were removed. 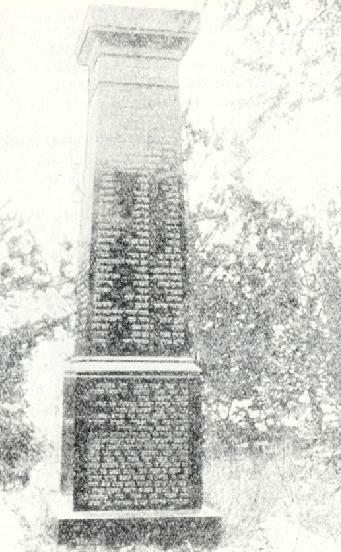 The monument erected at the mass grave of the 1906 pogrom victims in the Bagnowke Cemetery. The epitaph was composed by the famous poet, Zalman Sznejur. A particularly grim scene unfolded at the Bialystok railroad station, where hooligans helped by the railroad personnel killed many Jewish passengers arriving on the train. The stationmaster laughed at this tragic scene. Several Jewish leaders risked their lives by appeal­ing to the authorities, pleading with them to stop the killing and the looting, but to no avail. One of these leaders did manage, however, to steal out of Bialystok, and from a neighboring town he sent a telegram to the Duma, the Russian parliament in St. Petersburg. This cable, revealing the pogrom in Bialystok, generated a storm of protest in the Duma, which immediately sent a delegation of three deputies to Bialystok. They arrived on Saturday, June 3rd, the third day of the pogrom. As soon as they appeared on the scene, the bloodshed ended and the police unsuccessfully attempted to erase the grisly signs of the slaughter. The deputies saw for themselves the great destruction in the city, as well as the large number of victims. Their bodies were gathered from the streets and from their homes and taken to the Jewish hospital, where they were laid out in long lines. The observers also saw pools of warm blood that extended from the streets to the hospital – the blood of murdered and wounded Jews. Eighty dead bodies lay outside on the hospital grounds and more than two hundred wounded were treated in the hospital, nineteen of whom later died from their wounds. The Jewish Self-Defense League played an impor­tant role in saving Jews during those pogrom days. The league was organized by the labor parties. It saved thousands of Jewish lives and a great deal of their prop­erty. Thanks to this defense league, several major Jew­ish working-class sections of the city were spared ruination. As soon as the pogrom began, a company of sol­diers on horses eagerly rode into these areas with the intent of razing them to the ground. But before they could enter, a Jewish anarchist tossed a grenade that exploded with a fierce impact, smashing many windows and devastating the surrounding houses. The horses panicked and their riders rode away. From then on, not one of the soldiers or police officers dared come near those streets. At every corner of the poor section of Bialystok, patrols of the Jewish Self-Defense League were sta­tioned with revolvers and grenades, each group under one leader. They guarded the streets and fired warning shots into the air. If a gentile went by carrying loot, these Jewish protectors would frighten him until he threw down the stolen package and fled. The stolen items were gathered together and later brought to a central location. Many more tragedies would have occurred had it not been for these self-defense groups. Each Jew is suffering as a result of the recent pogroms. Everyone in whose arteries flows Jewish blood participates in the mourn­ing that has befallen the entire house of Israel. Alas, each Jew grieves by himself. It is, however, necessary that our sighs be uttered together in a powerful outcry. All tears should form a massive sea, causing the heavens to rend. It is vital that everyone know the Jewish collective body is still alive, feeling the pain of each part. Let us demonstrate we stand together in facing this dark hour. Therefore, with the approval of our rabbinical tribunal in Bialystok, we have called for a public fast tomorrow. In all synagogues special prayers of penitence will be recited, and all of our murdered brethren in the recent pogroms will be memorialized. All stores should remain closed until 1:00 p.m. Those not able to fast should make donations to the victims’ fami­lies. As a result of our joining together at this difficult time, may the Almighty deliver us from all evil and may the sounds of lamenta­tion never again be heard in our streets. A call to the Jews of Bialystok proclaiming a public fast and special prayers, after the pogrom of June 1906. Like marble melt not in the blood of the holy martyrs beneath you, Nor dissolve Into a flood of tears. Even as states and peoples change, never move from your place. Strike fear into them at night, hover over them like a curse. A cold witness shall you be, telling what occurred to the children who will come after us. For the honor and the blood of our people were defiled, as witnessed by the summer heavens. The sun shone unabashed; the eyes of the world were not blinded. Many fell dead, gunshots thundered, smoke plumed upward. As many wept yet did they frivol, accepting the old plague. To be sure they also shed tears to our God, who granted eternity to His people. To it he also gave death, the death of a sacrificial lamb swimming in its own blood. A son estranged, straying from his father, tarrying in pain among strangers. The father beckons to him from afar, return at once, only to feel your cold rows of dead. Of the world around him that erected these monuments. Stand strong and be proud, you pillar of sorrow, like marble. As states and peoples change do not move from your place. The large monument near the mass grave of the pogrom victims stood for decades in the Bagnowke Jewish Cemetery in Bialystok. It reminded many of the three horrible days for Jews in Bialystok in early June 1906. But after World War II the Poles vandalized this stately headstone, cutting it into three pieces and dis­carding it near the outskirts of the cemetery.